The key to building a successful marketing plan is to bring together best practices and improvements across your business into one unified strategy. It’s no good improving your lead generation if your marketing content doesn’t match up, and having great lead nurturing won’t help you if your sales team isn’t armed with the tools to make conversions. To help you build a business-wide plan for success, we’ve compiled all of our advice into this 6-step marketing strategy for IT businesses. Here, we’ll take a start-to-end look at your pipeline, from targeting customers to generating leads and securing sales. Each step has been planned to help you along the path to securing and converting more customers – so follow along and make the changes to your business to build a winning marketing strategy. The first step to any successful strategy is to identify your target audience. Deciding on a particular set of customer demographic and psychographic factors allows you to target your marketing and sales strategies more precisely. In turn, this means less time and money is wasted pursuing the wrong leads. This can be a job title or a combination of function and seniority level. Many IT marketers have a good understanding of who the decision makers are, and will use platforms such as LinkedIn (organic and paid) to target them. Take the time to research and speak with your target prospects, about the problems and blockers they face today. Much like a doctor diagnoses the illness before prescribing the medication, good B2B marketers diagnose the challenge and present a solution that fits best. Follow the doctrine "Sell the challenge, not the solution", and it will be difficult not to attract the right profile of prospect to your content and online assets, later. The personas that you build need to have the budget, need and inclination to buy your products - whether you’re aiming for CEOs or 20-somethings with spare money in their pockets. It can be useful to create negative buyer personas too - the type of customer who isn’t interested in your business and who you definitely don’t want to target your marketing at. These can be arrived at in a similar way, and include people outside of your location, people who are too old or too young for your products, or those who work in the wrong industry. This applies whether your IT firm are adopting inbound, outbound, or a combination of the two. Once you know who you’re trying to sell to, you can start working out how to sell to them. A great way to start this is to identify the challenges that your ideal customers face - whether their business is struggling in a way that you can help with, or their current solution isn’t quite meeting their needs. It can be tempting to dive into research and hypothesising about the best way to identify consumer needs, but almost always the best approach is simply to ask them. Approaching your past customers and asking why they bought from you and how they found out about you and your products is a great way of identifying the pipelines that currently exist. 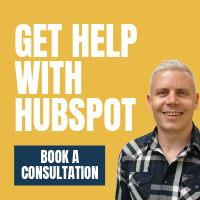 Not only will this show you whether your existing marketing tools are working but could also reveal some things that you hadn’t realised before - like whether you’re receiving business through referrals. Produce a list of the common challenges your customers have and match these up with your buyer personas. This list will be able to inform your next choices - like what messaging you put throughout your marketing and where you publish for maximum effect. Now we know who your customers are and what their needs are, it’s time to take a look at where you can find and reach them. Whether part of your direct inbound marketing efforts or as part of a vendor co-marketing campaign, getting firm on your target decision makers and account profiles will help elevate results later. To do this, we need to work out which marketing channels your prospects are using and find out the best way for you to use them. Obviously, this will vary by business and depend on who your personas are, so a little research is needed. Some general rules do apply - B2B leads are more likely to be on LinkedIn and Twitter, for example, while B2C customers might be better reached on Facebook or through blogging sites - but we’ll need to dig deeper to discover the best place to reach your future customers. A great tool to use for this research is BuzzSumo. BuzzSumo reveals which social sites a piece of content or website has been engaged with on most - highlighting whether a certain blog post was more popular on Facebook than Twitter, for example. You’ll need a paid premium account to take advantage of some of these - but you can start a free trial by heading to their website. By entering your content into BuzzSumo, or similar content that you believe your customers are reading, you can find out where your ideal customers are most active. It might be that customers interested in IT services interact with related content most on LinkedIn, for example - and BuzzSumo will give you that information. Armed with the data, you can then focus your efforts on the channels most popular with your audience and research strategies to optimise your use of those platforms. Optimising your use of a social media or content platform typically means finding out what content format works best. On some sites, and with some audiences, video might result in the most engagement, while elsewhere long-form text content might produce the best results. Again, BuzzSumo can help here with premium membership giving you access to data about the highest-performing content in your industry. You can use these figures to decide what type of content your audience likes most and what performs best on each platform from a conversion point of view. Outside of BuzzSumo, you can conduct your own research to discover where your time will be best spent. If you’ve amassed your own social media following already, try posting different types of content over a period of time to see which gets the most traction with your readers. If you don’t have a big enough audience to experiment with, take a look at how the content of other publishers in the same industry is performing. It’s worth experimenting with the time and date of your posting as well as content format. B2B customers could be expected to be online in relevant spaces during work hours, for example, while B2C leads might spend more time shopping online in the evenings or at the weekend. Ultimately, you should be able to build a timetable for marketers to follow - one that details the best platform to use, the right type of content to produce, and even the best times to post to maximise performance. With this plan in hand, you can take a more scientific approach to your content marketing - publishing with the confidence that you’ve targeted the right people in the right place. We know who your customers are, where they are, and how to reach them - so it’s time to make contact, add them to your lead list and start moving them towards a sale. To make managing your leads easier, we can profile them and split them into three groups - information qualified leads (IQL), marketing qualified leads (MQL), and sales qualified leads (SQL). These three categories are relatively simple ways to sort your potential customers - you can keep lists of each to make sure that you are prioritising attention on the warmest leads. It’s a good idea to do what you can to move people between these categories too, pushing people down the funnel towards a sale. Nurturing your leads is an important part of this. One part of lead nurturing is email automation - sending scheduled emails with reminders, content, and CTAs designed to earn you a sale. But lead nurturing can also be a more manual process, from sales phone calls through to social media messaging. B2B leads, in particular, can be nurtured through LinkedIn, for example, simply by having your team interact with their posts and strike up a rapport with the decision maker at the business. Finally, it’s worth looking into progressive profiling for lead qualification. Primarily a method for collecting information from leads, progressive profiling uses dynamic forms on your website that show different questions to different visitors. Once a visitor has answered a certain question, it will be replaced by new questions on the form the next time they visit the site - it’s a great way to include questionnaires on your site that, over time, help you to collect as much information as possible about a lead. Questions about their business needs, their current work situation, and even the tools and software that they use currently can help you to build a much clearer picture of who they are - something which will help you to send higher-performing marketing emails down the road. The final step in our marketing plan is to put your sales and marketing teams into alignment and set up the processes that help people and businesses slide from IQL to MQL to being a satisfied paying customer. Firstly, you’ll need to take stock of exactly what your sales team and your marketers need to complete their jobs. What is the minimum information that sales need to get the job done and is the marketing team, and the marketing plan, providing that? Meeting your sales team’s needs is, quite obviously, vitally important and if you aren’t meeting them you should work back through your plan and make changes where needed. If you're working on partner marketing campaigns with vendors, too, your partners will have a base level of information they deem to be acceptable, when qualifying and registering leads. Take this as a stepping stone along your own qualification process, to keep things aligned. You’ll also need to make sure that the leads your sales team receives are ready to be sold to. Lead scoring systems can help with this by assigning a number of points to each lead depending on certain criteria, allowing you to rate your leads from least to most ready to buy. Businesses with a high budget might score highly, for example, while points can also be awarded to leads who frequently interact with your marketing materials, those whom you’ve spoken to recently, or ones who have had a free trial of your services. Finally, it’s important to do what you can to make your sales process as smooth as possible. Using a CRM tied into all of your marketing tools and materials is a great way to do this - giving both teams the ability to see what stage of the process leads are at. A good CRM will help the sales team to track a lead’s progress from IQL to SQL, ultimately helping them to build rapport and close the sale.